A bunch of letterpress letter stamps or a font that looks like letterpress letter stamps. The first option is more on the expensive side and time-consuming trying to find all the letters I need. I guess I could have shot over to my neighborhood letterpress shop and borrowed some… Didn’t think of that! And then there’s the second option. A free font. That works much better for my wallet! Buuut it’s still pretty time-consuming! I thought I’d share with you what I found. Some are on topic of the letterpress letter stamp. Others show you how I got sidetracked…. They are nothing like letterpress, but I like them anyway! Click on the links below to download the fonts you love! 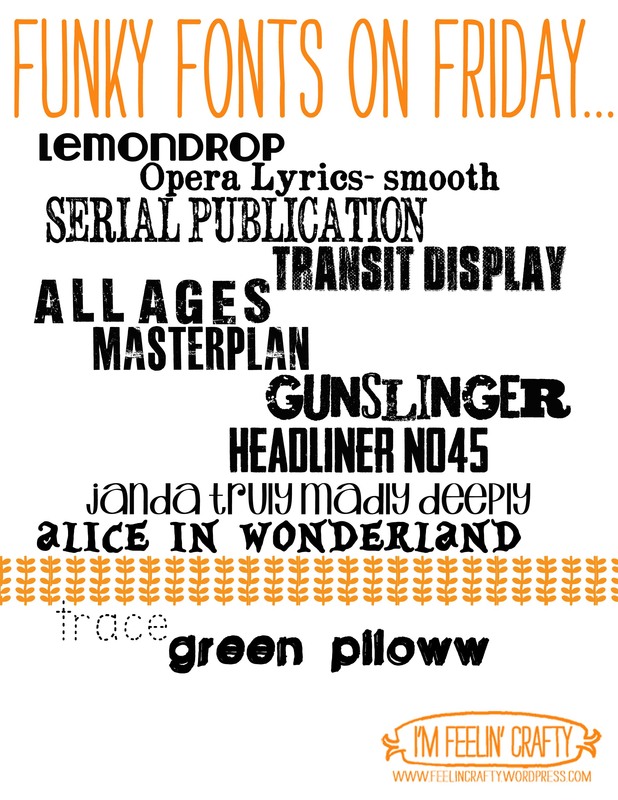 Lemondrop, Opera Lyrics- Smooth, Serial Publication, Transit Display, All Ages, Master Plan, Gunslinger, Headliner No 45, Janda Truly Madly Deeply, Alice in Wonderland, Peoni Patterns, Trace and Green Piloww.